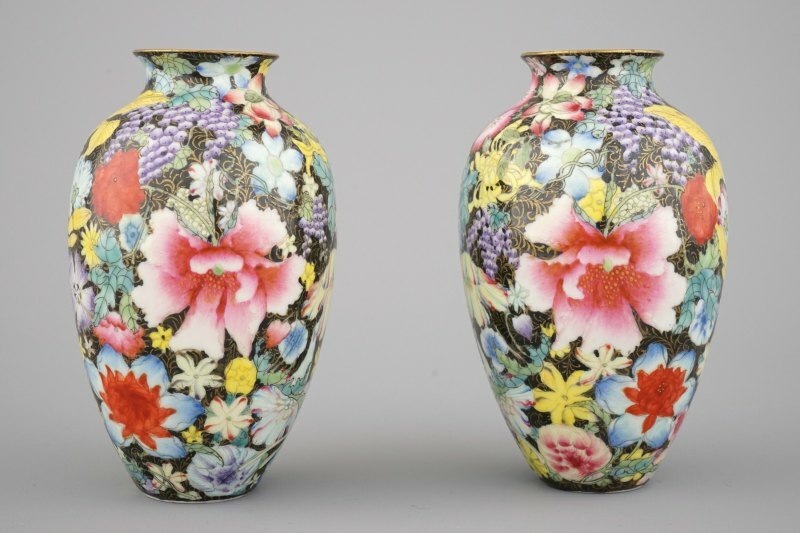 A lot of amateurs make the mistake of thinking that to identify Chinese porcelain vases all you need to know is the mark, when in reality you need so much more to be able to identify the age and manufacturer. It is a complex process to be able to identify and authenticate Chinese vases, it involves taking a closer look at a number of factors before deciding. An experienced collector will know that it takes a lot more than just looking at the mark. The factors that you must consider include the shape, colours, mark, age signs, decoration styles, foot, and the glaze all of which will be discussed in detail below. 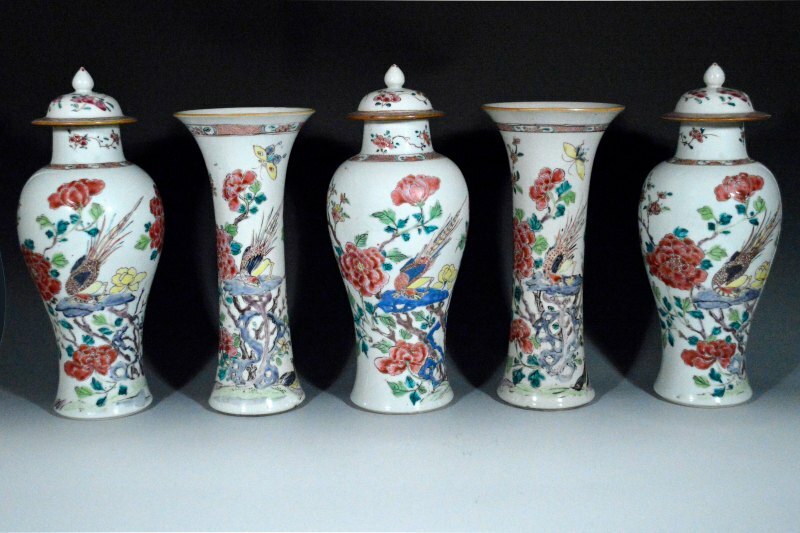 Since porcelain was first used in China, there have been many dynasties that produced different Chinese vases and porcelain products. Most Chinese vases did not differentiate within a single reign or dynasty which is one of the ways we can identify Chinese porcelain. Most utensils stayed basically the same whereas Chinese vases and jars, were changed more often. When you want to identify Chinese porcelain the first thing that your eye sees is the shape. You should research and gain basic knowledge of what shapes were used in China so you can decide whether the object is from that time period. Colours are another way to identify the authenticity of the vase or porcelain. Some colours or combinations of colours were not available at certain periods of time, so seeing a colour that does not fit either makes it a reproduction or a fake. Some of the earliest vases were a basic blue and white but the tone of these blues change varying on whether it was imported, sourced domestically or a mixture of the both. In some dynasties, imports weren’t available so this is another way you can identify the porcelains value. The next stage of the identifying process is looking at the pattern and decorations. There are certain patterns and designs that will be deemed acceptable or appropriate or they will be unacceptable. Painting, patterns and decorations will vary on the era and dynasty so study them and know them well. The bottom side of many porcelain products is a great way to indicate just how old it is or when it was produced. The process that goes into making these items has changed many times over the centuries so knowing the technique used in the era you are looking for will help. You can see if there are any signs indicating whether this technique was used or not. The glaze is also a great indicator. Knowing how different Chinese vases were glazed in each era will give you an indication to their authenticity. As well as providing you an indication to the age of the object, you can sometimes see if it has been exposed to the elements. The same goes for the clay, it has been changed and refined many times over the centuries. Knowing what kind of clay was used and how the clay was made will give you another indication as to how old the vase is and what era it was made in. You should check for age signs. Look for the techniques that were used in production, for example, kiln firing. If there is a visible mark then the collector should know if it fits in with the period that the item was produced in.